0.1 Holidaying on Gran Canaria? New to the island? 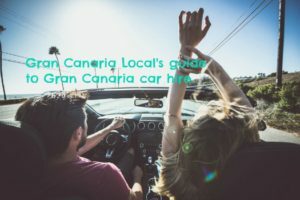 Either way, we’ll help you find where you can get a good Gran Canaria haircut; in the north, south, east, west, and centre of the island. Holidaying on Gran Canaria? New to the island? 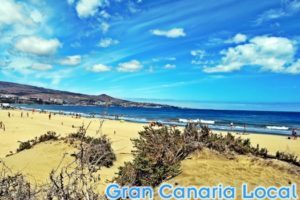 Either way, we’ll help you find where you can get a good Gran Canaria haircut; in the north, south, east, west, and centre of the island. Despite their easygoing demeanour, Canarians do care quite a lot about what they look like. Which keeps barbers and hairdressers on the islands in plenty of business. 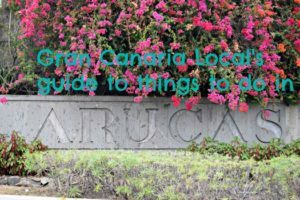 Here are our top tips on where you can get a good haircut on Gran Canaria. 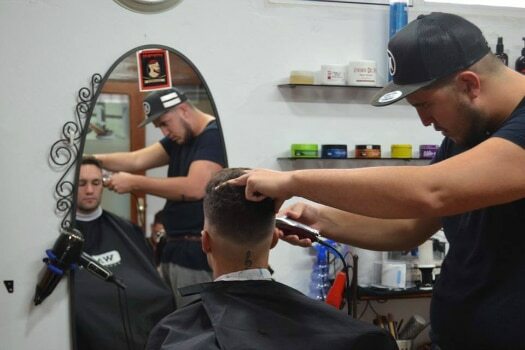 You’ll find, as with the majority of businesses, most barbers and hairdressers in the north of the island in the capital, Las Palmas de Gran Canaria. Our two eldest Dani and Alex like to get their hair done for around €10 a time, like their football-playing mates, at Triana‘s Peluquería Quintana. You’ll know you’re in the right place when you mistake the owner for Barcelona’s Luis Suarez, albeit with a new look of greying hair. Gran Canaria Local Junior gets his hair cut on the other side of town, at Pérez Muñoz’s CH Peluqueros which is quite the hipster hangout. Prior to Mr Gran Canaria Local’s wedding to Mrs GCL, his mum got her hair, and indeed make-up, done at Carvajal’s Salón Rosmen which is where Las Palmas de Gran Canaria’s beautiful people tend to go. Cheaper options include the Chinese hairdressers (men’s cuts as low as €5) which are dotted throughout the city, but particularly in Arenales and La Isleta. In Arucas, BarberShop La Ideal (near the bus station) cut hair for boys big and small whilst girls of all ages are coiffeured by the slightly more out-of-town (as in Santidad) Peluquería y Estética Lorena. Over in Guía, gents who are dedicated followers of (hair) fashion are well served by Alcalde Oscar Bautistia Afonso’s La Barbería. Meanwhile, La Atalaya (the Santa Brígida version) is home to Peluquería Mency, one of the leading unisexual salons in the area. We knew him first as Hipp Astrum (it’s a long story) but Mr Frederick Cleverly has become Mr Gran Canaria Local’s hairdresser. Whenever Mr GCL’s down south, he pops by FRDK Hair Salon in Playa del Inglés. And if FC’s not there, Mr Gran Canaria Local’s attended by Tom who’s equally handy with the scissors. Over in nearby Maspalomas, trendsetters Italian Hair & Beauty Project very much style hair rather than merely cut it. There’s a similar ethos in Campo Internacional’s Hairstudio Maspalomas, run by Bavarian prizewinning hairdresser Sandra Hohner. Further west, Arguíneguin’s BarberShop No 13 is a facsimile of an old-fashioned barber. 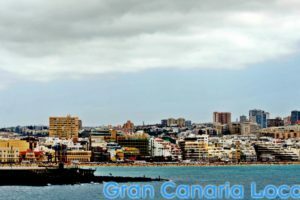 Continuing occidentally on Gran Canaria, you’ll reach one of the island’s major resorts in Puerto Rico. Here, you’ll find Martinica’s Martinica’s Hair, Beauty, Massage & Wellness, which (as you’ve already no doubt surmised) offers more than just haircuts. 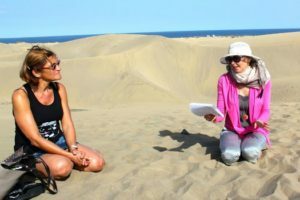 Elsewhere in the municipality, there’s Atelier La Femme in Puerto de Mogán, stylish in both name and nature. Telde’s LifeStyle BarberShop is as old school as it sounds. 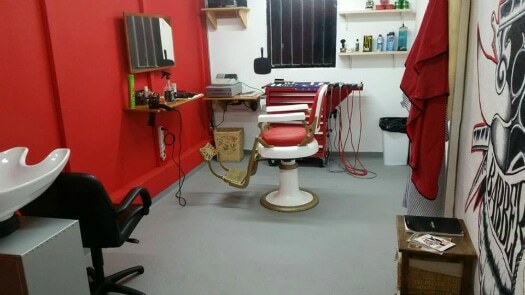 As well as offering gentlemen’s cuts, it provides beard-trimming services and wet shaves. Turn off the GC-1 at La Garita to reach this particular establishment. On the other side of Gran Canaria’s major motorway, there’s Salón Peluquería Agustín in Telde proper. They’re open from Monday to Friday 8:00am to 8:00pm and on Saturdays from 8:00am to 2:00pm. At 8€ for a men’s haircut, they’re one of the cheapest non-Chinese salons on the island. Heading towards the interior of the island and Valsequillo, you’ll discover Barbería San Miguel. A post-millennial take on the traditional men’s cut, they only opened in 2015. 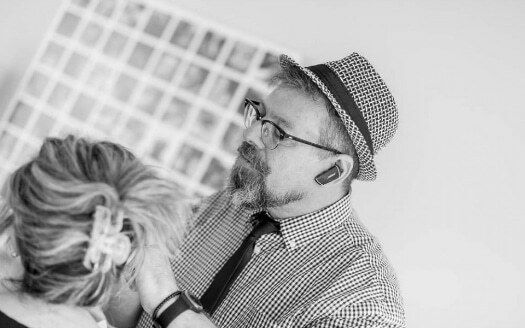 Close by, Begoña Alfonso/Zen Beauty Peluqueros offer haircuts for women too. If your hair’s becoming too wild for your liking and you’re in the west of the island, Peluquería Indira Amparo in La Aldea de San Nicolás’ Calle Doctor Fleming will happily perform a salvage operation for you. Peluquero a Domicilio Joa N.L. can also come to your rescue. Quite literally, as they’re a mobile hairdresser. If you find yourself in the centre of the island, you’re going to have to travel a little bit further to get a haircut. Unless your base is Vega de San Mateo, that is. Which houses Centro Estético y Peluquería Raquel Reyes, specializing in hair straightening and permanent eyelash dying.